When you have your customer on a voice call, you have her undivided attention. Why not use that opportunity to tell her the latest news about your company, relay an inspiring message from your CEO, or even just play her your latest advertising jingle? 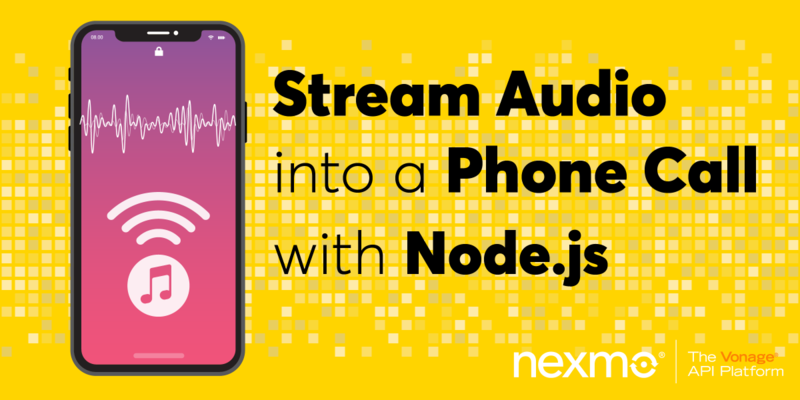 In this blog post you will learn how to play an audio file into an active call programmatically, using the Nexmo Voice API and Node.js. To work through this example you’ll need Node.js. If you don’t already have it installed, download it from the Node.js website. You must have a Nexmo account. Sign up now if you don’t already have one. You’ll also need a Nexmo number to call from, which you can purchase with the free credit Nexmo gives you when you sign up. You can provision a number in the Developer Dashboard, but we’ll talk you through using the Nexmo CLI to rent a number, create a voice application and then link your number to it. Finally, you’ll want the source code, which is available on GitHub. Clone the repository and cd into the application’s root directory. Replace the NEXMO_API_KEY and NEXMO_API_SECRET with your own details to authenticate the CLI. Make a note of the telephone number that the command returns. To use the Voice API, you must create a Voice API application. This is not the same thing as the web application you are building. It is merely a container for the configuration and security information you need to connect to Nexmo’s APIs. Note that the app:create command shown uses a few parameters. These are to set the webhook endpoints and download your private key to authenticate your application. The Nexmo APIs need to know your webhook endpoints so that they can make requests to them when there is an incoming call, or an event that your application should know about. You can safely leave these as example.com because we will specify the webhooks programmatically. These dependencies are configured in package.json. Run npm install to install them to the node_modules subdirectory. We need to expose our application to the Internet so that Nexmo’s servers can access our webhooks. We recommend using ngrok for this. ngrok will give you a temporary URL such as https://914288e7.ngrok.io. Make a note of it. Leave ngrok running while you are using the application, otherwise, the URLs will change and you will need to reconfigure it. You are now ready to see the application in action! 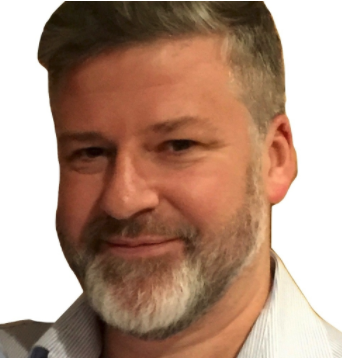 Visit http://localhost:3000/call in your browser. This makes a GET request to the /call endpoint in your application and causes it to ring the TO_NUMBER in .env. You will hear a message, followed by some music that plays for 20 seconds and then the call disconnects. All the logic happens in server.js. We use two audio files in this application. One is for the music that we play to the caller. The other is a silent MP3 file. You can only play audio into an existing call, so it’s important that we keep the call open otherwise it will disconnect before you have a chance to do anything with it. The silent MP3 file keeps the call open. This is one way of streaming audio into a call. But the focus of this post is how to do it programmatically. Technical writer at Nexmo. Loves playing with and documenting APIs.